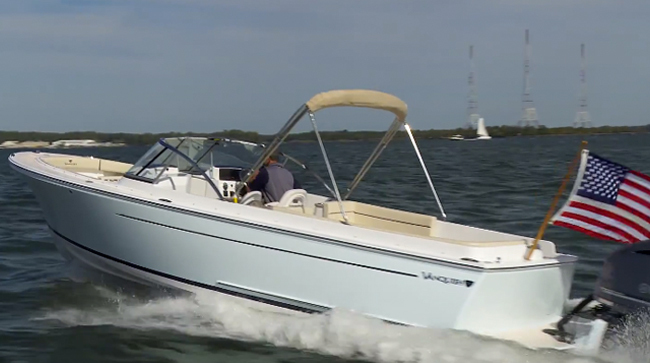 Few dual console boats have the character and the flair of a Vanquish 26 DC. 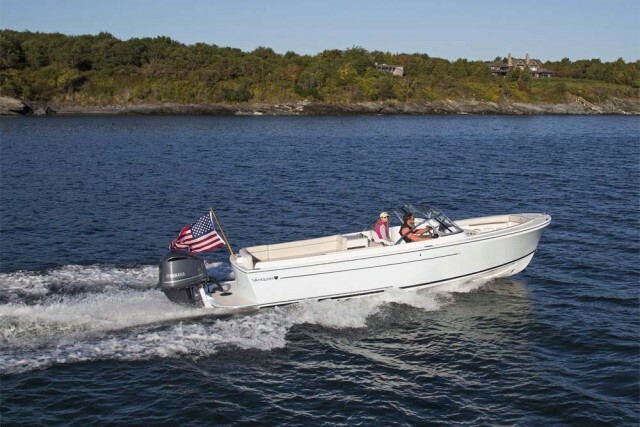 The 2015 Vanquish 26 Dual Console combines classic styling with modern design, backed up by a Yamaha F250 four-stroke outboard on the transom. Yes, that does mean exactly what you thought—performance rocks, with top-end breaking the 50 MPH barrier. But there's a whole lot more to this boat than its looks and its performance. 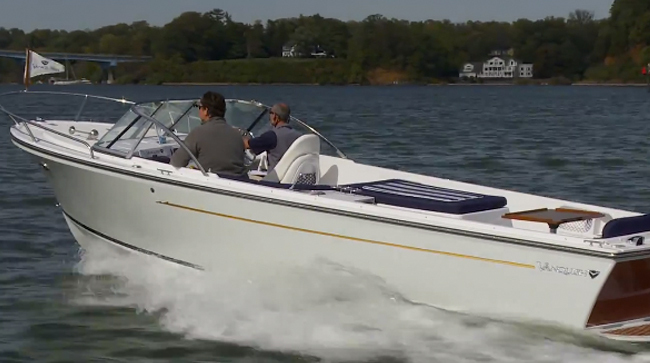 Watch this video boat review, to get the scoop. 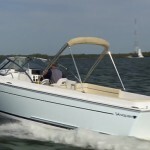 Read our full review of this boat, Vanquish 26 DC: Can a Dual Console Boat Be a Classic, to learn more about this model in detail. And read the Boat Test Notes below, to find out what I was thinking, what stood out as a plus, and what seemed to be a trade-off as I tested the 26 DC. 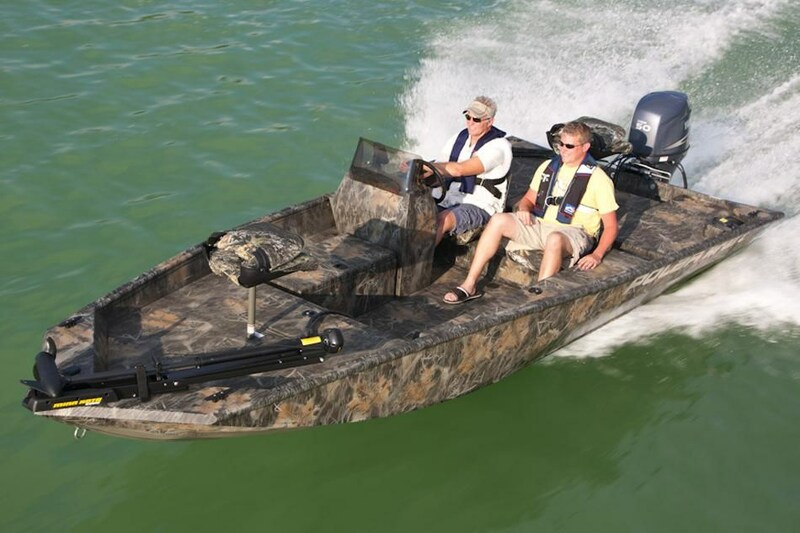 Create a classic-looking boat which has the dual console design, as well as cutting edge construction and performance. -Resin infusion, vinylester epoxy resin, foam coring, carbon fiber, and 3M 5200 Adhesive/Sealant are all used in this boat's construction—and the result is clear when you start launching off of waves. (Watch from 3:08 to the performance section of the video, to see what I mean). -Armorflex buff-back gel coat is used for a mirror-like finish that will last. -Interior fabrics are buttery-smooth, and cushions are thick and comfy. -With max power, we topped 50 MPH. Cruising speeds of about 40 MPH are realistic. -Even in a steep chop, I had no problem maintaining speeds in the mid 30's. 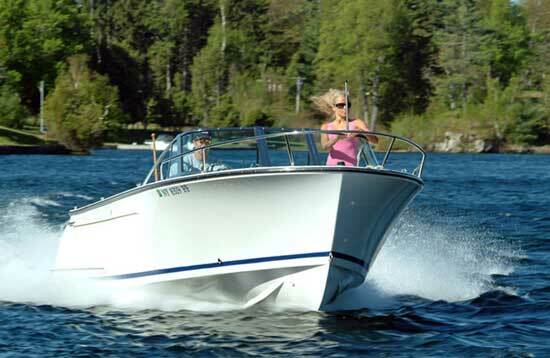 -There's nothing unusual here; the boat banks into turns without the prop blowing out and acts as expected for a mid-20's runabout. -Dockside handling is enhanced by a bow thruster. Many would consider it unnecessary on a boat of this size and nature, but it only makes things easier and since this boat is built with a cost-be-damned attitude, why not include it? 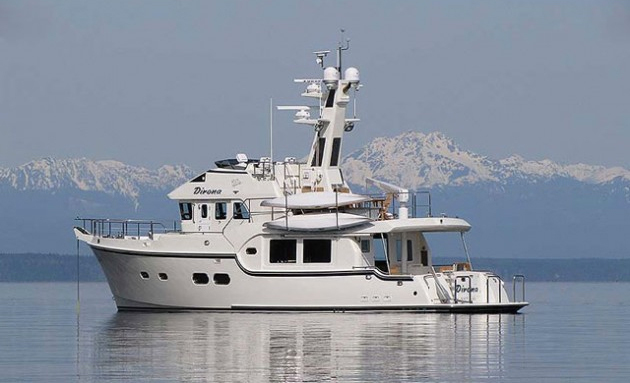 -With an eight foot beam this boat is more svelte than most its length. Net result: it's smoother going through heavy seas, but there's not as much elbow-room on deck. -Combination of classic looks (with tumblehome, analog gauges, and yacht-like finish) with the dual console design is unusual. Plus, you get a head compartment in the passenger's side console. -Starting price tops 100K. Wow. 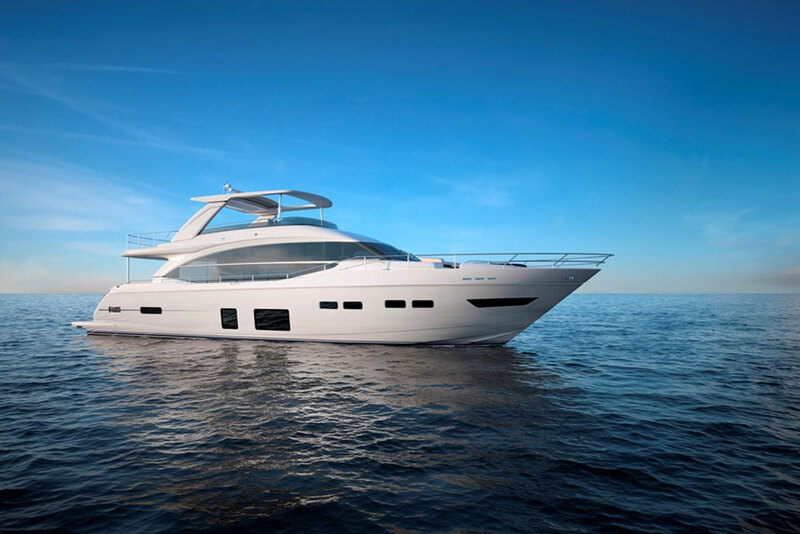 -Variable-degree hull design has a 50-degree entry, tapers to 24-degrees where the hull cuts through the water on plane, and then to 16 degrees at the transom, to gain a stability boost. 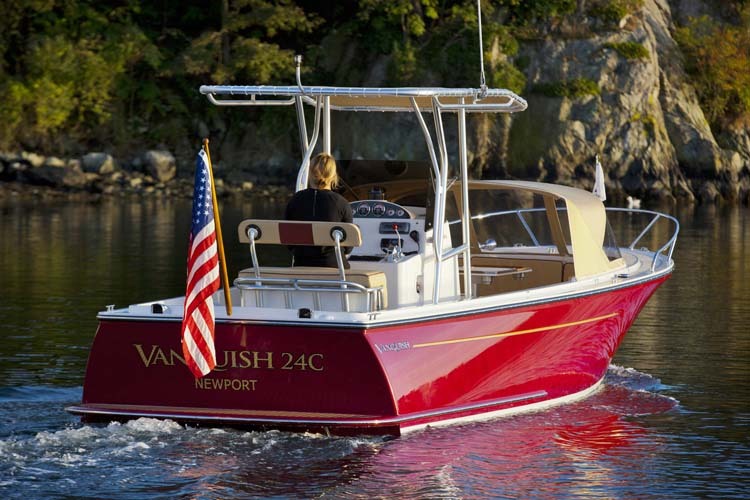 The Vanquish 26 DC is certainly not for the average boater, nor can the average Joe count on being able to afford one. And with the relatively narrow beam, it has less space onboard than many other boats of its size. Those two things said, it's hard to find anything else to complain about on the Vanquish 26 DC. From construction to performance to fit and finish, this boat is a cut above the vast majority of the other 26 Dual Consoles out there. If money is no object, you like classic boat looks and modern boat performance, and the DC design appeals to you, you're the guy or gal Vanquish is looking for. See Vanquish 26 listings. Contact Vanquish Boats.